Customers will be able to bottle their own whiskey and customize labels at Ross Park Mall. 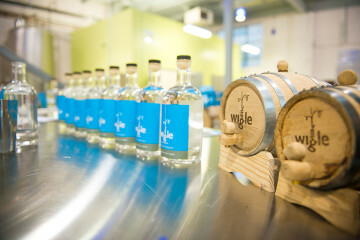 Photo courtesy of Wigle Whiskey. This year at Ross Park Mall, shoppers can literally get into the holiday spirit. 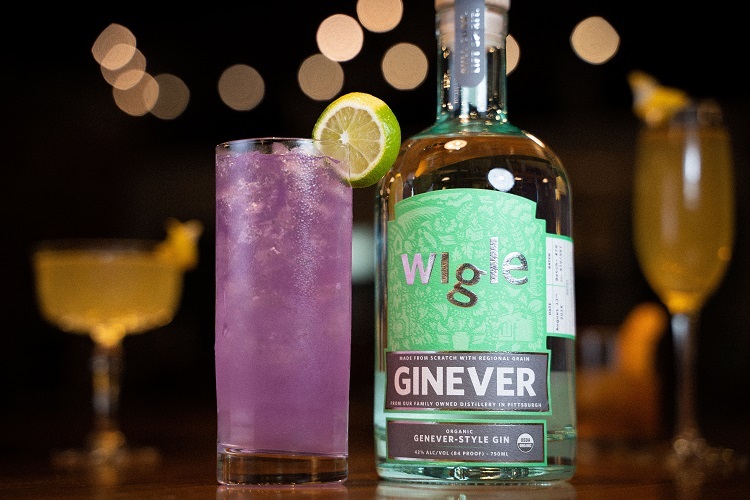 Wigle Whiskey, a Strip District-based distillery, is opening a Tasting Room & Bottle Shop at the North Hills shopping center. In addition to cocktails, guests can order spirits flights, Threadbare cider and Pennsylvania-made beers. Located in the main mall entrance by Crate & Barrel, L.L. Bean and The Cheesecake Factory, the 3,500-square-foot site boasts seating for about 50 people and is the largest of the company’s satellite properties, which also include the Omni William Penn Hotel in Downtown Pittsburgh and the Barrelhouse and Whiskey Garden in Spring Hill. When the spot opens on Nov. 20, it will sell more than 40 bottled varieties of its award-winning booze. Visitors also can fill their own bottles directly from barrels of organic bourbon or rye whiskey and customize their own labels. Pending Allegheny Health Department approval, the full-service bar will begin operation on Black Friday with $5 cocktails all day. Red Ribbon Tonic, lime and rosemary lavender bitters. Beverage Manager Audra Kelly has created several cocktails specifically for the Ross Park location, which is housed in former Citizens Bank. Wigle kept the vault in the back as an homage to the two famous bankers in the Whiskey Rebellion story: Alexander Hamilton and Andrew Mellon. Mellon’s Penicillin, a modern take on a classic smoky cocktail, is named in honor of Mellon, who served as Secretary of the Treasury and Chief Prohibition Agent while at the same time owning the nation’s largest rye whiskey distillery. 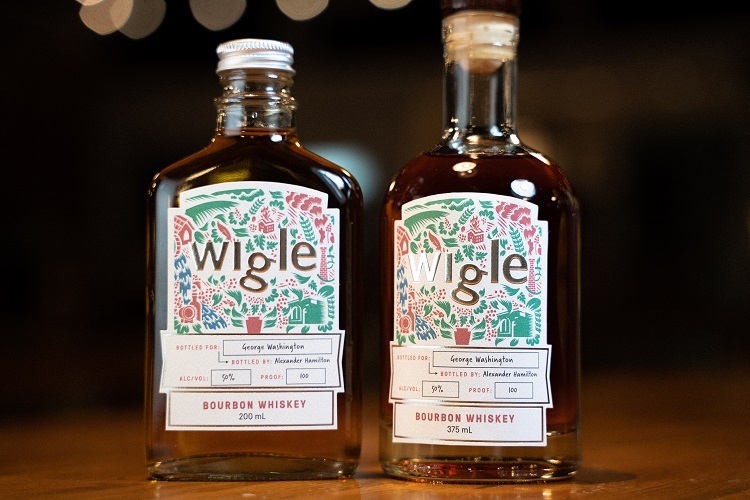 This holiday season, Wigle will also run a pop-up whiskey bar and bottle shop in the South Hills Village Mall and a Threadbare Cider pop-up bottle shop at Ross Park, where it operated a similar kiosk last year between Thanksgiving and Christmas. “Our pop-up became an unexpected bright spot for many beleaguered shoppers, who were a mix of surprised and delighted to taste with us and fearful for us that we were going to get in trouble for doing something they assumed was illegal,” Grelli says. The Wigle owners worked for two years with state legislators, including Paul Costa, Adam Harris and Charles McIlhinney, to push for PA-based craft distilleries to be allowed at five satellite locations for their operations. The law changed in 2016 and, shortly thereafter, Wigle opened its first off-site spot Downtown. The mall tasting room will host events throughout the year and can be rented for private functions. Job hunting? Positions are still open at the site and interested candidates can click here for more information and to apply.